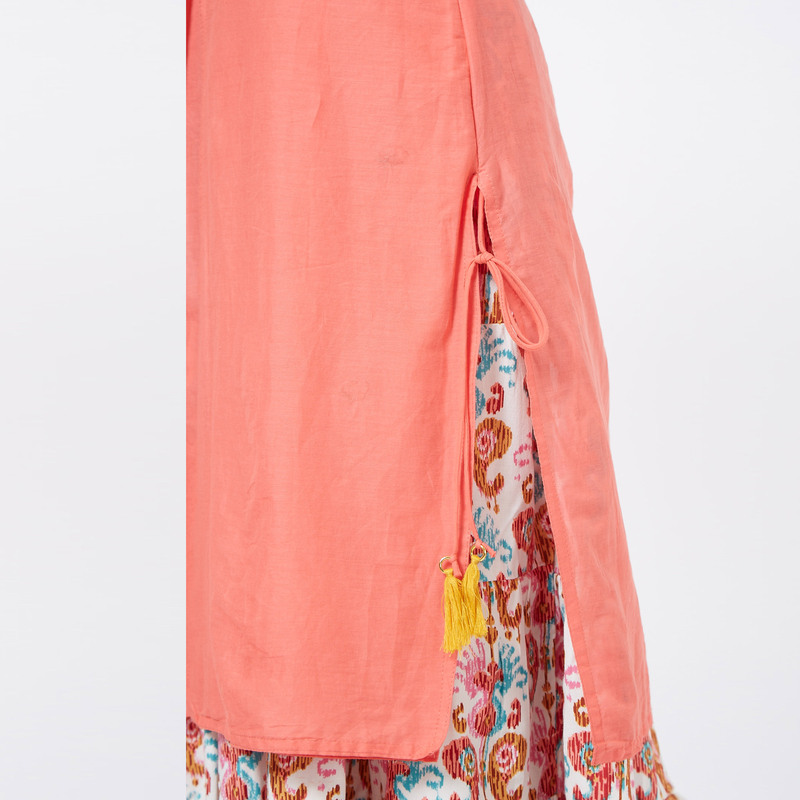 Be the sunshine of anyone’s eyes dressed in such a stunning pink-white colored long kurti. This kurti is fashioned on cotton fabric & enriched with eye-catching embroidered work along with lovely flare which makes this kurti perfect for any occasion. This stitched kurti is perfect to pick for parties, events and weekend get-together. Pair it up with leggings, cigarette pants or jeans to create a contrasting effect, along with heels & stylish accessories. This attractive kurti will surely fetch you compliments for your rich sense of style. Note:- The actual product may differ slightly in color and design from the one illustrated in the images.